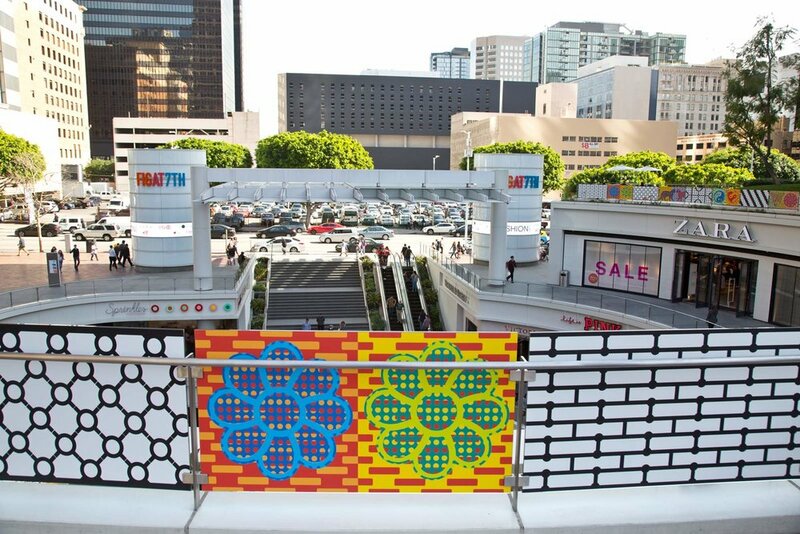 Arts Brookfield presents a multi-site, large-scale vinyl art installation by John Van Hamersveld, the well-known LA based artist who has played an instrumental role in shaping the visual culture of rock ’n’ roll and SoCal life since the 1960s. Through the dynamic and vibrant retro graphics featured in Signs of Life, you will be introduced to the artwork of an LA icon who is truly a part of design history! 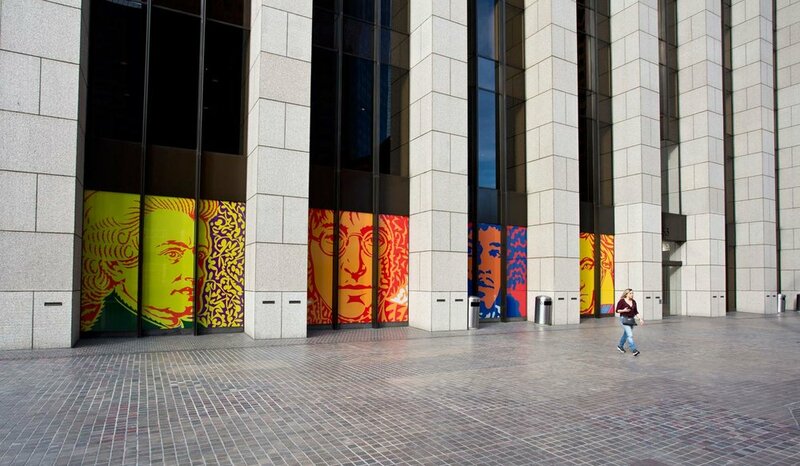 The Signs of Life installation will include a unique vinyl design on the upper plaza at FIGat7th, as well as four portraits of famous musicians and composers in the windows of Bank of America Plaza, facing Hope St and the famous Walt Disney Concert Hall on Grand Avenue. Through this colorful, dynamic, and vibrant pop imagery, you will be introduced, or reconnected, to the work of an LA icon. ABOUT ARTS BROOKFIELD: Arts Brookfield presents exciting, world-class cultural experiences to hundreds of thousands of people for free each year in both indoor and outdoor public spaces at Brookfield’s premier office properties in New York, Los Angeles, Denver, Houston, Washington D.C., Toronto, London, Perth and Sydney. From concerts, theater and dance to film screenings and art exhibitions, Arts Brookfield brings public spaces to life through art.